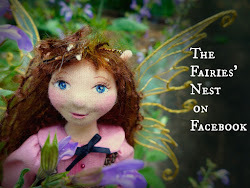 The Fairies Nest - OOAK Cloth Dolls & Fiber Fantasies: Tagged! 1. I'm named after Cinderella, the Disney movie came out the year I was born and my parents were unprepared for a girl. 2. 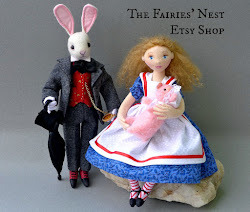 I was a theater major in college...how that translated to doll art I'm not exactly sure. 3. I hate pears...weird texture thing. 4. Sometimes my dreams come true like I always knew I would have a house full of boys even when I was little. 5. I love cold, rainy days 'cause they make me feel cut off in a cozy way. 6. I'll watch just about anything with good costumes. 7. I'm ALWAYS on time. 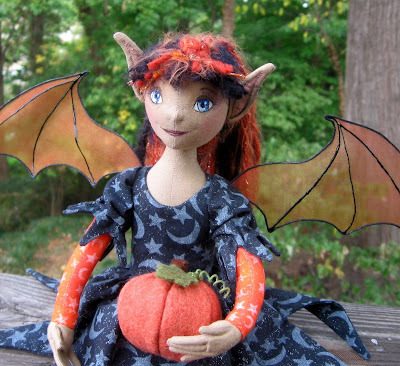 I've been having a great time making witches and other fall fae lately. The weather finally turned and there has been a delicious coolness in the air and I swear the leaves are starting to turn on some of the trees. Fall cometh! 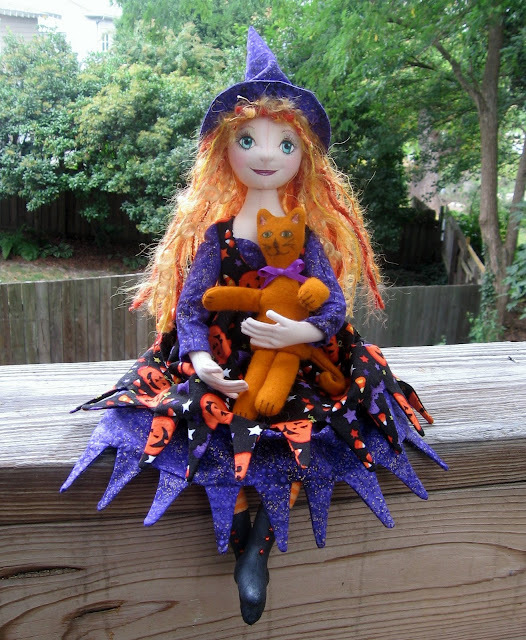 I saw you beautiful Witches on DA and just had to look. 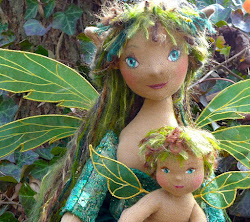 O.O they are so pretty and i just love all of the fae you have made them really come to life. It did make me think of dark crystal immediately and now i wanna watch it lol.